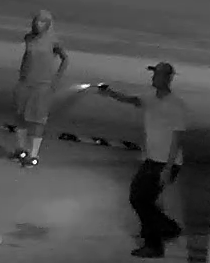 Baltimore City Police are looking for help identifying the people involved in a shooting. It happened August 9th around 9:20pm on the 3800 block of Belvedere Avenue. Anyone with information is asked to contact Metro Crime Stoppers at 1-866-7-LOCK UP. If your information leads to an arrest & indictment on this crime you could be eligible for a cash reward of up to $2,000.